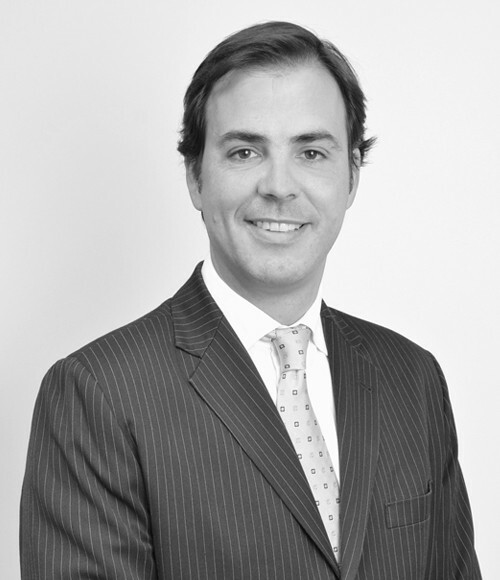 Partner of Carey and co-head of the firm´s Intellectual Property and Information Technology Group. His practice focuses on IP litigation, licensing, distribution and franchise agreement, trademarks and patents prosecution. Televisa on the anullment action against the filing of “Poder y Negocios” as a trademark by “Tiempo Presente” Publishing. Nestlé on the obtention of the registration of Sahne Nuss as a trademark, which was distinctively acquired by use, after ten years of legal dispute. The North Face on its legal defense in order to prevent counterfeiting and other matters regarding their trademark in Chile and Argentina. PepsiCo on many litigation cases regarding trademarks related to this company. Todo Moda, an Argentinian company, on the negotiation of licensing and franchising agreements for its legal entry into Chile and Peru. Awarded as best individual lawyer in Intellectual Property: Trademarks (2014 and 2015) and in Intellectual Property: Copyright (2019), Client Choice. Recognized in Intellectual Property, Chambers Latin America. Recognized as IP Star, Managing Intellectual Property. Recognized in Patents, IAM Patent. Recognized in Trademark, Who’s Who Legal. Recognized in Intellectual Property and in Information Techonoly Law, Best Lawyers. Member of the Board, Chilean Industrial Property Association (ACHIPI) (2017-2019). Professor of Privileged Information in the Securities Market, Degree in Compliance and Good Corporate Practices, Universidad Católica de Chile (since 2017). Chair of the Anticounterfeiting Committee, Latin America and Caribbean Subcommittee, INTA (2016-2018). Foreign Associate, Lexis Nexis (2006-2007). Author of the Chilean chapter in “Legal Updates on Trademark Law in Latin America”, Wolters Kluwer (2018).